This stunning bracelet is part of the Engelsrufer collection. 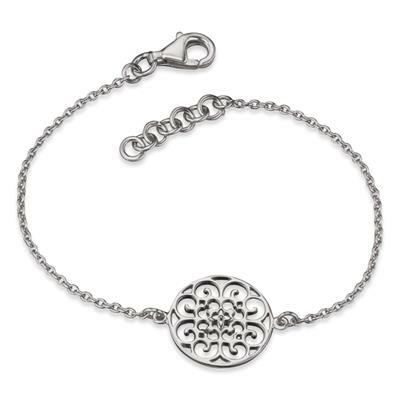 The delicate filigree disc sits on a Rhodium-Plated 925 Sterling Silver bracelet. Wear this pendant with your Angel Whisperer necklace for a fabulous set. The bracelet is 16-18cm in length.